rtist Jessica Skye Baker has demonstrated through countless successful sales both nationally and internationally that her work offers something unique in the art world. Born in 1988, Jessica gravitated towards abstract art as a means of artistic expression. 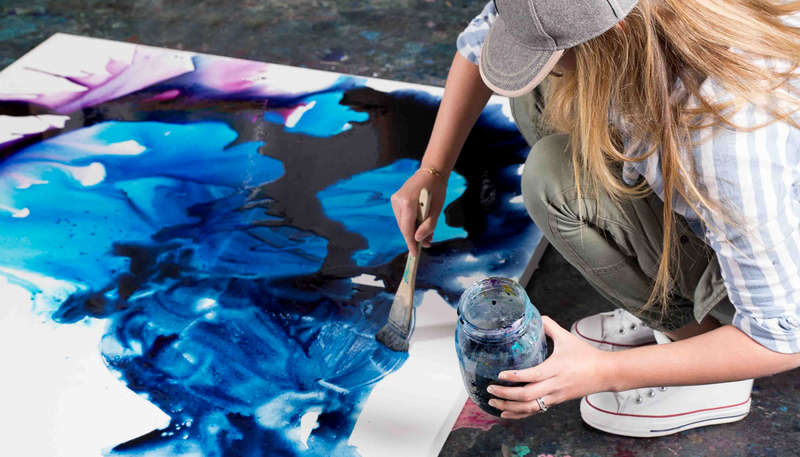 Creating vivid blasts of colour and compositions that combine the organic and inorganic shapes around us, Jessica shares with us her love of art and life. True to her nature she is not bound by any particular medium or style but you can draw connections to her work when you see her bold use of colour and huge scale artworks. Good afternoon. Many thanks 🙂 Interesting page :).